American households are in more debt than ever before, and much of this debt is due to simple overspending. 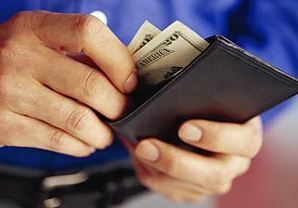 Below are six factors behind overspending and how individuals and families can address them. Credit cards aren’t accompanied by the same sense of loss that comes along with spending cash, and this easily leads to overspending for many people. A cash-based envelope system for discretionary household expenses like food, clothing and entertainment helps avert excessive credit card usage by providing a finite amount of money for each category instead of an open-ended line of credit. Not knowing exactly how much money there is and spending without a plan are two major contributors to overspending. Working with a professional financial advisor to prepare a family budget is a great first step to figuring out where the money goes and getting spending under control. Keeping up with the Jones’ almost always leads to overspending and debt. Self-denial is difficult, especially when everyone else seems to be buying nice things. However, learning to say no to expensive luxury items is one time-tested way to beat the temptation to overspend. Whether it’s fueled by a sense of control or as a means of escaping boredom, compulsive shopping can be a hard habit to break. Staying out of stores unless there’s a clearly outlined objective and always shopping with a specific list are two ways to address this bad habit that contributes to overspending. Many people overspend simply because they feel they would look bad if they didn’t, so even if they’re broke, they’re compelled to reach for the tab at lunch or shower friends with expensive gifts. Ways to forestall this type of overspending include simply being honest with close friends and not succumbing to artificially imposed societal expectations. The flawed piece of conventional wisdom that modern life is impossible without the use of debt leads some people to give up on ever living a debt-free life. However, millions of Americans live without using debt of any kind. Turning to these individuals as an example is yet another way to banish overspending and the excessive use of debt. Overspending and debt go hand-in-hand, and addressing the problem of overspending is often the first step toward becoming debt-free. From helping to prepare a budget to teaching families new ways to think about money, a professional financial advisor can provide assistance at many points along the road to debt freedom. Informational credit to A C Waring & Associates Inc.
Whacha Gonna Do When The Malls Call On You?